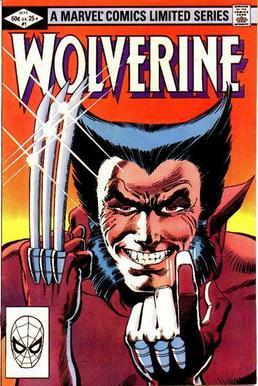 Wolverine is without question the most popular and iconic member of the Marvel superhero team the X-Men. He has appeared in every single form of other media that the team has, from films, to animated series, to video games and has carried both his own spin off comic and film series. In this article I am going to explore why this one particular X-Man stands out from the rest in a more objective way. Who would have thought that was his weakness. I think that sometimes a problem with the X-Men is that their powers tend to be too great. Storm can summon up the lightening, Professor Xavier can take control of people’s minds, Nightcrawler can teleport in at will, and Cyclops can blast people from several feet away. It can be hard to have characters like that ever be in any danger. Wolverine meanwhile I feel has the right balance. He is not so weak that he can’t fight, but at the same time he can’t just zap his opponents from a distance or teleport away any time someone tries to hurt him. . Writers will therefore tend to focus on Wolverine more than other characters as its easier to have him be involved in exciting fight scenes. With Storm for instance against an enemy like Sabretooth, either he will get the drop on her and corner her and then she has no chance, or she will see him coming and just zap him. Also the fact that Wolverine can heal means the writers can have a lot more fun in giving him all kinds of gruesome injuries and he can recover from them, which in one case included having his skeleton ripped out! At least he wasn’t covered in scorpions this time. Another advantage of Wolverine’s healing factor is that for people who don’t like Wolverine they can enjoy watching him get shredded, beaten, crushed, his bones broken, over and over again. However for those of us who like Wolverine, we also enjoy watching him get shredded, beaten, crushed, his bones broken over and over again, as he always comes back. Due to being 150 years old, Wolverine naturally has a much longer backstory to explore than the rest of the team. The fact that when we first meet him very little of his past is known has also I think made him an attractive characters to both fans and writers alike. There were so many interesting things to explore when we first get to know Wolverine. How old is he? How did the adamantium get coated to his bones? Why doesn’t he remember his past? Why do he and Sabretooth hate each other so much? That’s not to say that other members of the team don’t have interesting backstories either. Indeed I think the X-Men as a whole are very well fleshed out characters. 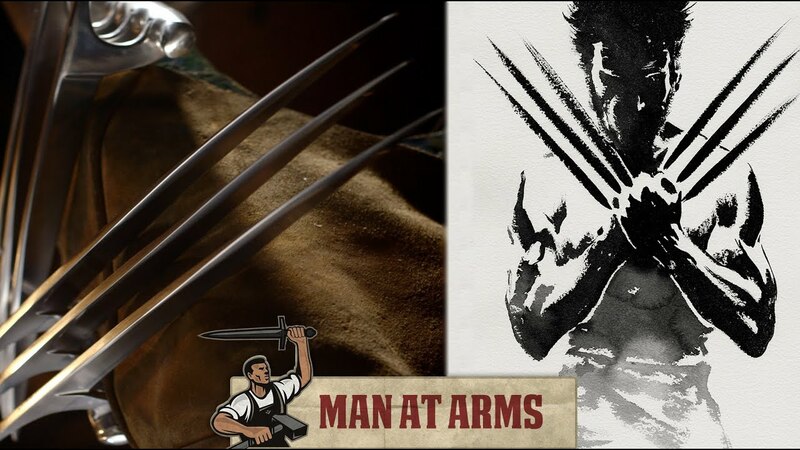 However in Wolverine’s case aspects of his origin can serve as the basis for entire films in their own right, such as the weapon X program which served as the basis for much of X2 and the first Wolverine film. Its hard to imagine Scott Summers origin being strong enough to carry a film. In X-Men Apocalypse for instance his origin is really only a minor part at the start and then that’s that. He’s joined the team and really is no different to how he is later. Wolverine is one of the few X-Men alongside Charles Xavier himself who has his own personal archenemy, Sabretooth. 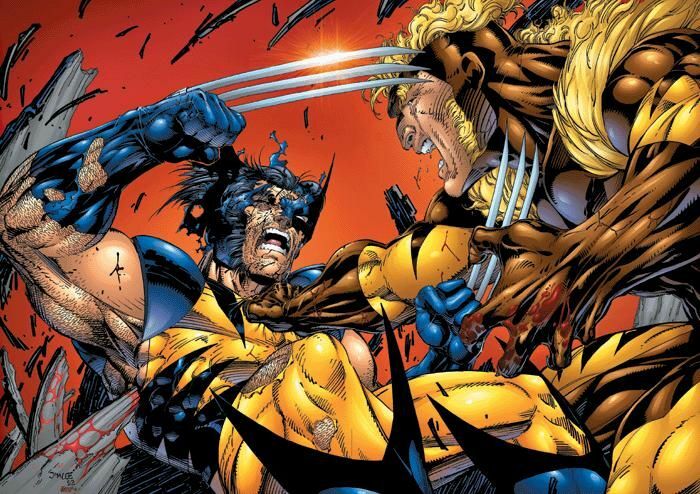 The Wolverine/Sabretooth feud is one of the most brutal in all of comic books, and its also one of the most mysterious. For many years we didn’t even know why these two always hated each other so much, with Sabretooth being suspected of being everything from Wolverine’s brother to his father (though both of these theories were recently debunked). The fact that their past together is so mysterious is a large part of why it has been so fascinating. What could have provoked such hatred between the two men? Why is Sabretooth so desperate to prove he is superior to Logan. This along with the unanswered questions about Logan’s long, 100 year past really I think made him more of a natural to star in his own solo series. Taken out of context, this sounds like a rather odd thing to want do to Sabretooth bub! Wolverine’s design is brilliant in my opinion. On the one hand its not just a monster or a weird animal man like say Nightcrawler, but on the other he is not just an ordinary human with a funny costume. Well okay he does have a funny costume but still his civilian look is part man, part animal and even part machine. There are certain animal characteristics about his looks. Some big like having claws, some subtle like his excess hair, elongated upper canines. At the same time however the fact that the claws are metal add a whole new aspect to his appearance. The first time you see the character you wonder if he is part machine underneath? The way the Claws can retract back into his body makes it seem like he isn’t completely flesh and blood. It draws you in more than say Storms look and makes you want to know the story behind it. There is also an element of body horror in his look too the way the knives come bursting from under his skin. On the one hand it can be a bit uncomfortable to watch, but at the same time, the claws are so striking they draw you in. I can’t believe they gave up on him so quickly? Then again Magneto does seem to be quite sensitive to criticism. I think audiences are always drawn to the outsider in any group. You naturally want to know why it is they don’t fit in. Also I think that they often help to stop the other characters from getting on too well with each other. However somewhat paradoxically whilst Wolverine provides the necessary conflict within the group, at the same time I sometimes feel that being a member of the X-Men means more to Wolverine than the others. He is a loner by nature who has never really fitted in anywhere, but among the X-Men he ironically does find a similar group of outcasts and outsiders that he can belong with. Even though he’ll rarely admit it; the gang mean everything to him which makes his dynamic with them a little bit more interesting to me than just the usual loner who looks down on the rest. Wolverine is at odds with yet dependent on them at the same time. I think the films did a good job in capturing Logan’s dynamic with the group. In the first entry of the series, he scoffs at the idea of joining the team and seems to go out of his way to antagonise them. Threatening Cyclops, calling Charles “wheels” etc. However he stays with them more out of practicality than anything else and soon finds himself developing close relationships with many of the other X-Men. He falls in love with Jean, he comes to see Professor X as a mentor figure, he develops a father/daughter relationship with Rogue, a friendship with Storm. Even with Scott his rival, he develops something of a grudging respect for him. I always quite liked the scene in Days of Future Past where he tells Scott sincerely that he is pleased to see him again. I think my favourite moment however is in Days of Future Past when he asks a young Xavier to make sure he brings the future X-Men together. Even though the team would endure great loss and heartache (Wolverine arguably most of all as he ends up having to murder the woman he loves!) Wolverine still regards his time with them as being the best and most worthwhile years in his entire life. They were the only people he ever really felt accepted among completely and so despite the problems he may have had with some members like Scott (who he still asks Xavier to recruit.) He honestly wouldn’t want to lose his time with the X-Men for anything, as they were the ones who helped him to rediscover his past, give his life a purpose, and in some ways redeem him. Thus Wolverine’s dynamic with the others is somewhat more complex. Hugh Jackman as Wolverine is in my and many other people’s opinions one of the all time greatest performances from any actor as a comic book character. I’d say that Jackman is as good as Wolverine as Sean Connery or Roger Moore were as James Bond. Like those actors he made the role his own. He captured all aspects of Wolverine’s persona. He was badass, he was cocky, he was sarcastic, all the right superficial things we love Wolverine for. But Jackman also managed to capture the characters more vulnerable and caring side in his relationships with Rogue, Jean and Charles. His Wolverine was the cool guy that we all wanted to be, but he also seemed like a real person rather than just a badass, quip spouting, one note character. Jackman also I think really threw himself into the role. His enthusiasm for playing the character has remained just as strong for close to 20 years. Whilst Wolverine was always a fan favourite the fact that the actor they cast for him was the real stand out among the original X-Men cast. (Which was already a stellar cast.) Obviously made him the most popular among general audiences too which in turn to led him taking over the series. In conclusion you can see why even if he isn’t your personal favourite Wolverine does have a certain appeal that other characters don’t. His dark mysterious past, his feud with Sabretooth, his complicated relationship with his team mates and the fact that he has been brought to life so successfully on screen have all made him the most popular character. Of course being a badass with cool metal claws doesn’t hurt either.